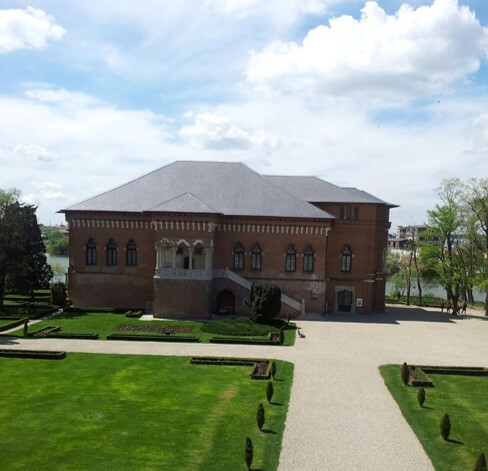 Mogosoaia is a beautiful palace located very close to Bucharest. 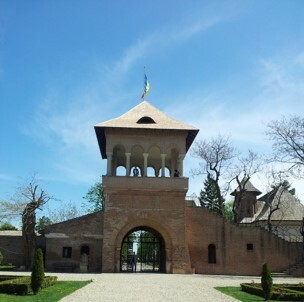 it has a unique architectural style called Brancovenesc, which can be compared to a Romanian Renaissance design. The Palace has seen many historic events, including being confiscated from the Ottomans. 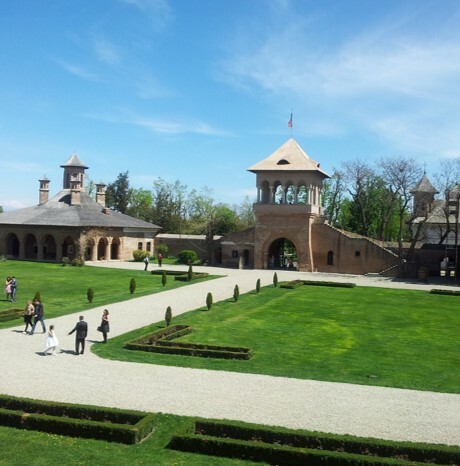 Visitors who come to Romania for dental treatments can visit the palace during a one-day trip outside Bucharest. The Mogosoaia Palace was built by Constantin Brancoveanu, Prince of Wallachia who ruled between 1688 and 1714. The palace, along with the other properties belonging to the Prince, were confiscated by the Ottomans after 1714 when Constantin Brancoveanu and his family were executed. The Brancovenesc style combines elements inspired by the renaissance style, along with oriental and baroque accents. The architecture is simple but charming and much of the palace’s beauty can be also attributed to the surroundings of the estate: the building itself is surrounded by a large garden and it is situated near the Mogosoaia Lake. The Mogosoaia complex includes the palace itself, the guesthouse, the kitchen house (now used to host various exhibitions), the greenhouse, the family sepulchre and a church. Summers in Bucharest can be very warm and a quick escape to a beautiful place like the Mogosoaia gardens is an excellent choice if you have to wait between two dental treatments at our dental clinic. The Mogosoaia Palace is easily accessible by car but a bus is also available. The complex can be visited free of charge, however, there is a fee for entering the Art Museum. Tourists can enjoy a walk through the beautiful garden or around the lake and can even stop for a picnic on the estate. Mogosoaia is just one of the many options dental patients have for exploring Bucharest. Because some dental treatments can be lengthier than others, you can talk to a dentist at our clinic to find out how much time you will spend in the country. This way you will be able to schedule your tour around Bucharest or even visit other places in Romania. Please contact our specialists in dental tourism for more information about the places you can visit in Romania. If you need details about the dental services provided by our clinic in Bucharest please send us an e-mail at: office@romaniandentaltourism.com.